1) Those of you who are on Twitter must have already seen how several authors organized auctions or other collects to raise money to help the victims of the earthquake and tsunami which took place in Japan last week (check #authorsforjapan). 2) Some of those collects have already reached their goals, but here is another opportunity if you would like to help and don't know how or where. 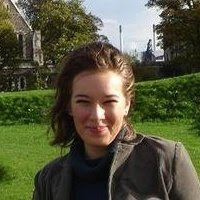 Those of you who are on the newsletter of author Kristie Cook know already about this possibility, but I wanted to let everyone know about another way you could help the victims of the Japanese catastrophes. This is just a quick note to let you know about Indie Authors Relief Fund. With the horrific tragedies from the earthquake and tsunami in Japan, I wanted to do something for these people, using my place in the world as an author. Many writers, authors and others in the publishing industry came together and formed various groups to raise funds, but each time I found one, they'd already reached their quota for donated items. So...I decided to start my own. 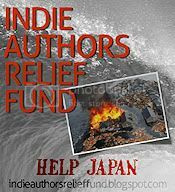 With the help of others, we started Indie Authors Relief Fund to benefit Red Cross International's relief efforts in Japan. We now have over 60 items up for auction! There is something for everyone - whether you're a writer, author or publisher or a reader of any genre or a business owner. There are services, signed books, ebooks, jewelry and other great items. I have donated a beach bag full of signed copies of Promise and Purpose, Soul Savers Series swag and stuff for the beach. I have also donated a 10-page critique of a manuscript (or whatever you've written) plus I will name a character after the winning bidder in an upcoming book or novella. Both of these auctions end tonight, Sunday, at 11:59 p.m. EST. But it's not too late! Most auctions don't end until Tuesday or Thursday night. I invite you to check out all the great donations authors and others have made and if you see something that piques your interest, I encourage you to bid. All proceeds go to Red Cross International. If you know of anyone else who might be interested, please feel free to forward this email. 3) Wibya (the menu bar at the bottom of the blog page) has also a new button: the Donate to Japan button which I added so if you want to donate to the Red Cross, all you have to do is click on it and it will take you right to the Red Cross donation page. 4) ETA: Just saw this post on Carolyn Crane's blog she has teamed up with several top-notch fantabulous authors (the League of Reluctant Authors) and they offer to give the highest bidder a critique! The winner does not only get one critique partner for their donation, but SEVEN! And not just any critique partner! Mario Acevedo, Dakota Cassidy, Stacia Kane, JF Lewis, Nicole Peeler, KA Stewart, Anton Strout in TEAM FANG! Read the details here at Carolyn's blog, and you can place your bid for Team Claw here and for Team Fang here. 5) I just stumbled upon this great post at Ann Bruce's blog, and she generously offered to donate CAD $1 for every comment left on her post! What an offer, so please go and comment, it only takes a click from you but is of great help! ps: If you know of other auctions or collects organized to help the Japanese victims, please let me know, just leave the details in a comment. Thank you!